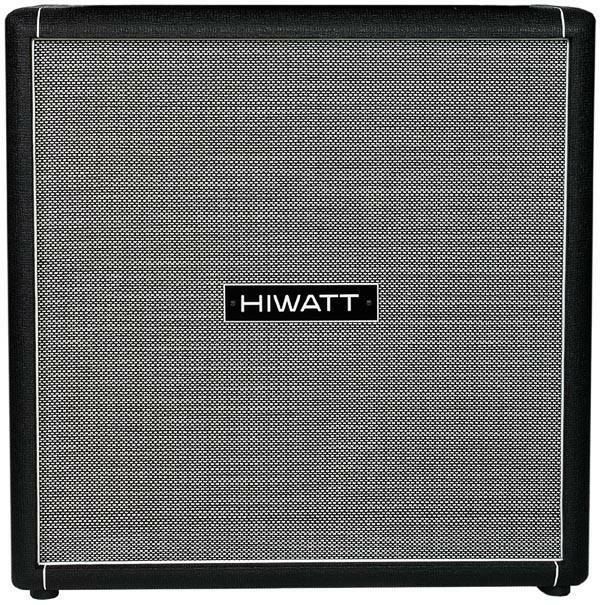 Available with the same features as the HIWATT Custom 100, but in a 50-watt version. Two EL-34 tubes in the power stage, 4 x ECC-83 tubes in the preamp. Adjustable 4, 8 & 16 ohm output impedance. This classic SE4123C Cabinet features four Celestion G12T-100 speakers, wired series/parallel, for a power handling of 300 watts. Rated at 16 ohms impedance. Built with solid marine birch.